_ HOW LONG WILL MY ORDER TAKE TO ARRIVE? What you are ordering will be made according to your customizations and taking the time it needs to be properly done. Each product has its own specify delivery term and condition, displayed in his own tech-board. Delivery times are cagily estimate in excess. We can quite often deliver before the deadline. However, there are many unpredictable reasons – beyond our control, which may cause slight delays. _ WHAT ARE THE SHIPPING COSTS? _ WHERE DO I ENTER THE COUPON CODE I HAVE RECEIVED? 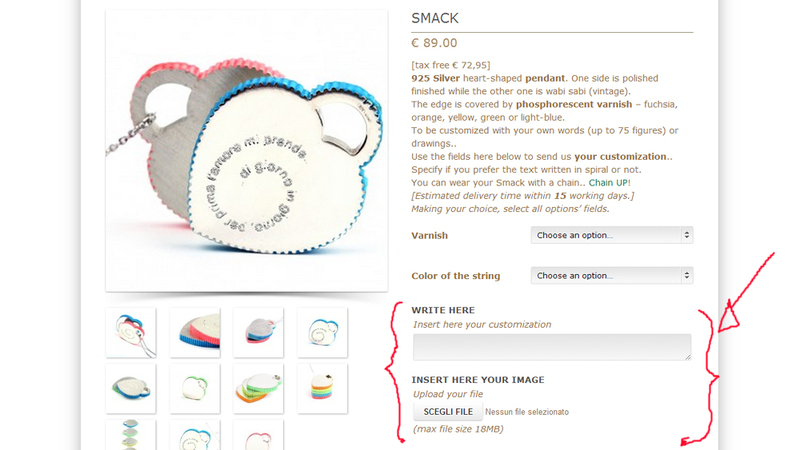 Once you have chosen the item (even more than one) that you want to purchase, click the “Purchase” button to add it in your cart. 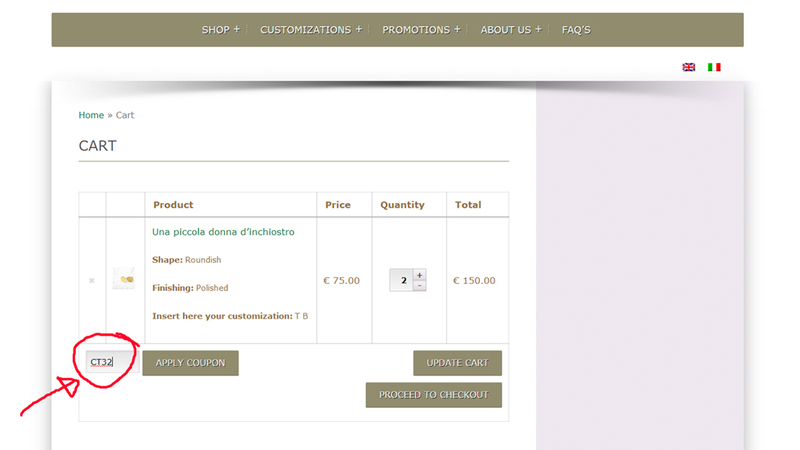 In the Cart page, under the summary of selected objects, there is a white rectangle next to the button “Apply coupon”: enter the coupon code in the rectangle and then click “Apply Coupon”. Below, in the “Cart Totals” section, you will see the initial amount, the discount and the total amount to be paid. _ IS THE ENGRAVING FREE? _ CAN I TRACK MY ORDER? _ WHAT IS MASCHIO’S RETURNS POLICY? We give your money back within 9 days from the invoicing. Otherwise, your jewel can be exchanged with a similar one or replaced with different items, providing it is returned in the same saleable condition as when purchased, within 20 days of the date of invoice. In the second case, you will be provided with a coupon code. _ HOW LONG DO WARRANTIES LAST?